Chelsea used that phrase when dismissing Mourinho — for a second time — just three years and one day ago. A championship-winning side had been dragged down to a point above the relegation zone. Also, the authority of a rare female doctor of an English Premier League team had been undermined while being publicly humiliated by Mourinho. The serial winner became tainted goods. So United knew just what it was getting when it gave the game’s most volatile character a route back into the dugout in 2016. The owning Glazer family and Ed Woodward, the vice chairman entrusted with running United day-to-day, ignored the alarm bells in their obsession with racking up social media interactions and Galactico signings. Instead, Woodward abandoned the studious transfer strategy honed under Ferguson in tandem with David Gill, who stepped down as chief executive when the manager’s 26-year reign ended. Since then, the record 20-time English champions haven’t come close to winning the league under David Moyes, Louis van Gaal and now Mourinho. But Woodward gives the impression of allowing the egos in the dressing room to run the show while churning through managers — three now since 2013 — while indulging the demands of players and agents. Can you imagine Ferguson allowing a player to have personalized advertising on perimeter hoardings during games? That happened when Paul Pogba’s emoji flashed around the field at Old Trafford. The midfielder was brought back to Old Trafford from Juventus in August 2016 in time for Mourinho’s first season in a transfer that cost 105 million euros (then $116 million). Mourinho certainly can’t complain about not being backed with cash to spend. Only he did just that when he couldn’t sign a center back in the summer transfer window — very publicly — and Woodward couldn’t control the outbursts. That was Mourinho’s forecast after the opening game of the Premier League — a match won against Leicester. It suggested little faith in his own abilities — so much for the Special One? — and set the tone for the next four months of a reign that ended two days after Sunday’s loss to Liverpool. You can’t question the mentality of players as often as Mourinho did and expect them to perform for you. Mourinho did collect two trophies in his first season at United — the League Cup and Europa League in 2017 — and followed them with the highest finish since Ferguson. But the runner-up placing in May only reinforced Manchester City’s supremacy. Flush with cash from Abu Dhabi — albeit with financial practices under scrutiny by football authorities — City finished 19 points ahead of United. That is now the deficit between current leader Liverpool and United in sixth place. 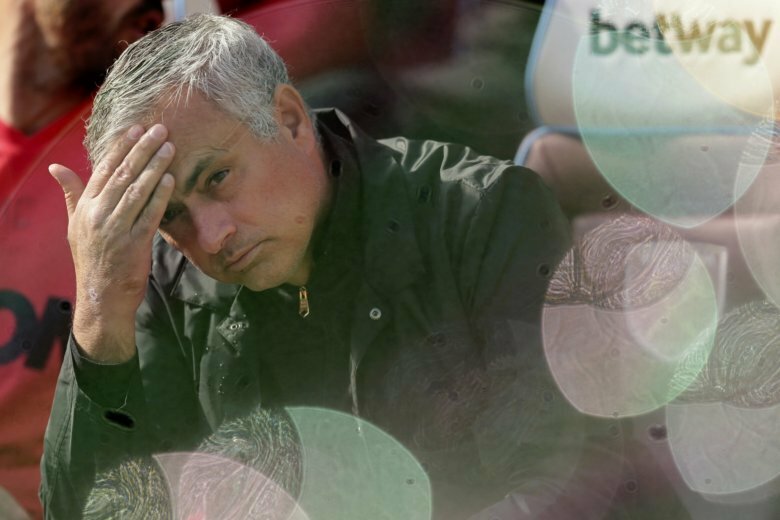 Even qualifying for the Champions League looks beyond United this season, with Mourinho’s former Chelsea side 11 points ahead in fourth place. United said on Tuesday that Mourinho’s departure allows the club to overhaul the transfer strategy and implement the director of football structure Mourinho opposed. If that was a long-term plan, then why did United hire Mourinho in the first place? For all his acumen as a sharp financial operator who ensures the sustainability of a debt-loaded business, Woodward looks increasingly out of his depth on footballing matters. United is looking for a fourth permanent manager in less than six years. Previously, the club took four decades to go through as many coaches.